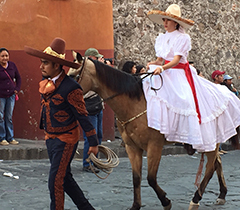 Delicious Expeditions would like to introduce you to colonial Mexico, with its charm and elegance, colorful culture, and delicious and varied cuisine. 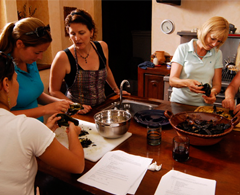 Delve into the country's rich heritage with hands-on Mexican cooking classes, day trips to fascinating areas, and a feast of local and regional foods. San Miguel de Allende, a historic treasure in the mountains of central Mexico, stands still in time with its pastel-colored houses, centuries-old churches, and cobblestone streets. A UNESCO World Heritage Site, rated by Condé Nast Traveler as the best city in the world to live, San Miguel offers a laid-back escape full of delicious experiences. Our San Miguel tour includes 7 nights accommodations at a private villa or Casa de la Cuesta B&B (depending on group size), all ground transportation after arriving in San Miguel, all group activities, cooking classes, and all meals specified in the itinerary. 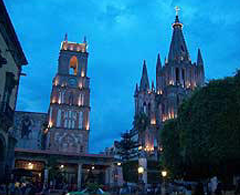 A $1000 deposit is required to secure your place in our San Miguel tour. Since the number of participants is limited and accommodations vary, early registration is advised. Read our testimonials and see for yourself that Delicious Expeditions are trips of a lifetime! Sally’s Place and the LA Chronicle. 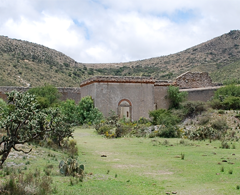 Arrive to San Miguel, enjoying the rugged countryside that is typical of Mexico's central highlands along the way. In the evening, we'll gather for introductions and cocktails before heading to dinner at Quince, a restaurant that showcases modern Mexican cuisine in a lovely rooftop setting. 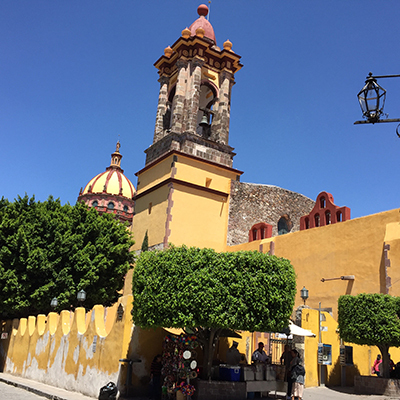 Enjoy a walking tour of San Miguel, known as "The Cradle of Independence" for the important role it played in Mexico's independence from Spain. We'll visit colonial churches, wander past 400-year old homes and get a feel for how San Miguel manages to be both a vibrant contemporary town as well as a true colonial gem. After breaking for churros and hot chocolate, we’ll head to the market to peruse the stalls piled high with tropical fruits, fresh vegetables, chiles, herbs and flowers. Then delve into the secrets of the traditional Mexican kitchen, including homemade tortillas, with a cooking class and late lunch. Free evening. Visit the ceramics workshops of Dolores Hidalgo, watching as artists mold and paint their creations, before lunch at Vicente's. Indulge in their famed carnitas and gorditas with an array of flavorful salsas. We'll sample exotic ice creams in the main square: avocado, tequila, beer, before heading to Santisima Trinidad for a wine and olive oil tasting. 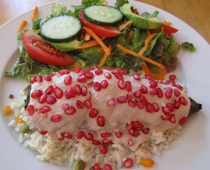 Late afternoon cooking class featuring the country's national dish–-Chiles en Nogada. Discover the pre-Hispanic world of central Mexico with a guided tour of Cañada de la Virgen, our local pyramids, followed by a country lunch of indigenous cuisine. 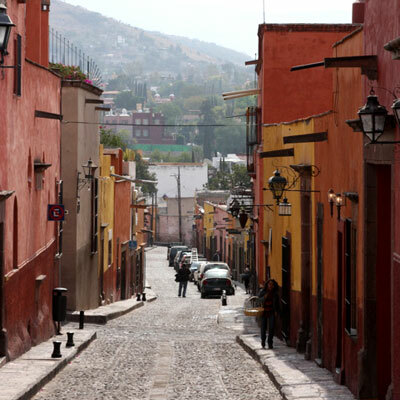 Free evening to wander the charming cobblestone streets and discover San Miguel’s vibrant restaurant scene. 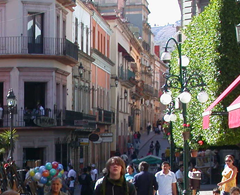 Today, we’re off to Guanajuato, an historic jewel one hour from San Miguel. 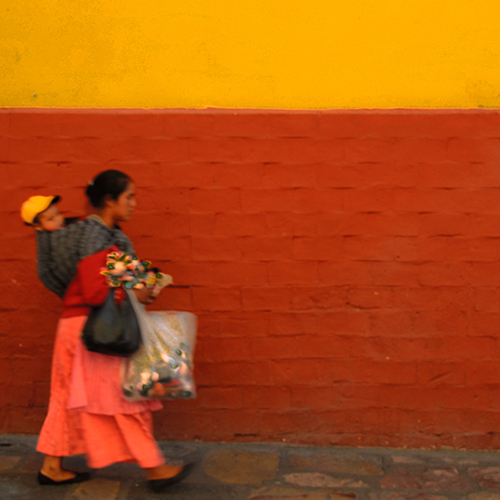 This colonial town features underground tunnels, colorful shops and houses climbing up the steep hillsides. We’ll lunch on specialties from the Bajio region. Visti the Diego Rivera museum. Free evening. Visit Galeria Atotonilco, famous for its folk art as well as Casa Rana, a nearby artist’s home, made of mosaics. Late afternoon cooking class featuring moles. We’ll learn how to make the traditional black mole, as well as green mole, and then incorporate them into a fabulous dinner, starting with tortilla soup. 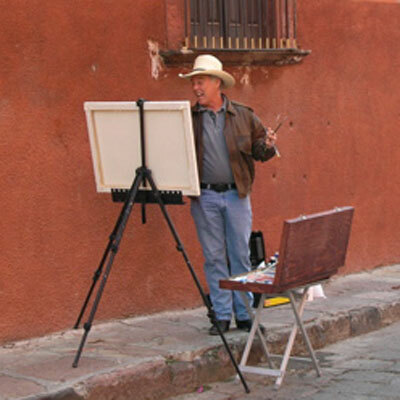 Free morning to enjoy San Miguel--schedule a massage or take care of any last minute shopping. Cocktails and a guided tour of San Miguel's renown mask museum. Our farewell dinner will be at the chef's table of Aperi with owner Matteo Salas, one of Mexico's top chefs. After breakfast, return to your airport of choice or another destination in Mexico. *Itinerary subject to change depending on local festivals and concerts. **In addition to the above, the Day of the Dead itinerary features a visit to a local cemetery, as well as neighborhood alters, to celebrate the holiday festivities. Click here to sign up for travel tales and recipes as well as tour information and discounts.